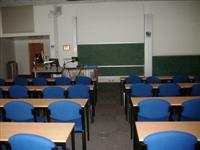 Services / facilities within the building include the Department of Mathematical Sciences, the Graduate Centre, the Optical Spectroscopy Laboratory, the Vice-Chancellor's Suite, the University Secretary's Office, the Office of Policy and Planning, the Director of Finance, Student Services and the 4 West Cafe. This information is for the entrance located on the Parade level. 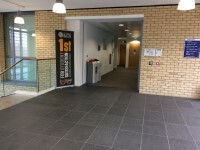 This entrance gives access to level 2 of the building. 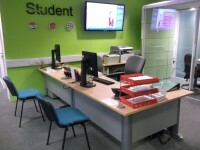 You are on Reception (Student Services). Skip to the next section. The desk/counter is 10m (10yd 2ft) from the Parade entrance. Student Services is located to the left of the Parade Level entrance. 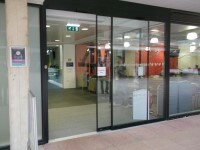 There is a sliding automatic door to access Student Services with an opening width of 85cm. 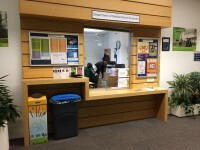 You are on Reception (Department of Mathematical Sciences Reception). Skip to the next section. The desk/counter is 22m (24yd 2in) from the Parade entrance. 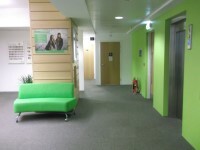 The reception is located at the rear of level 2. 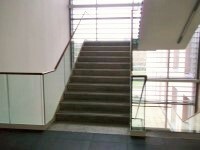 The floors which are accessible by stairs are levels 1-2-3-4-5. 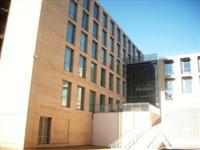 The lift is located opposite the Mathematical Science reception. 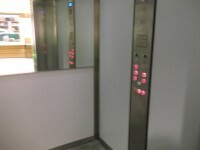 The floors which are accessible by this lift are levels 1-2-3-4-5. The lift is approximately 18m (19yd 2ft) from the Parade entrance. 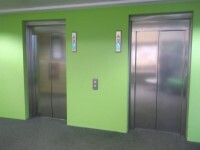 The dimensions of the lift are 130cm x 160cm (4ft 3in x 5ft 3in). 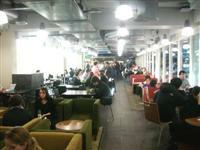 You are on Restaurant Bar Internal (4 West Cafe). Skip to the next section. The nearest table is 7m (7yd 1ft) from the Parade entrance. 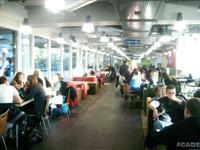 The cafe is located on level 2, directly to the right as you enter. 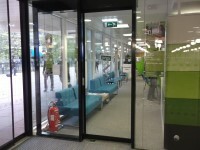 To access the cafe there is a heavy manual door. The door is 80cm wide and opens towards you (pull). There is an alternative entrance to the cafe from the Parade. 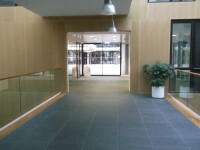 This is via level access and automatic doors 165cm in width. 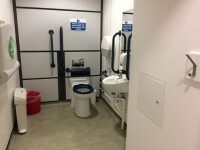 This accessible toilet is approximately 25m (27yd 1ft) from the Parade Entrance. 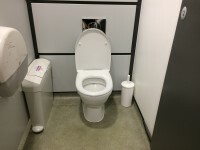 This accessible toilet is located on level 2, just past the lifts. The dimensions of the accessible toilet are 124cm x 260cm (4ft 1in x 8ft 6in). 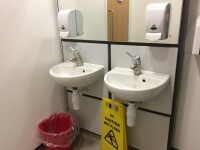 The female and male toilet facilities that were surveyed are located on level 2, just past the accessible toilet. The female and male toilets are approximately 27m (29yd 1ft) from the Parade entrance.